For Wild Night Out 2018 I invited my friends and their babies round to our house for a camp-out. 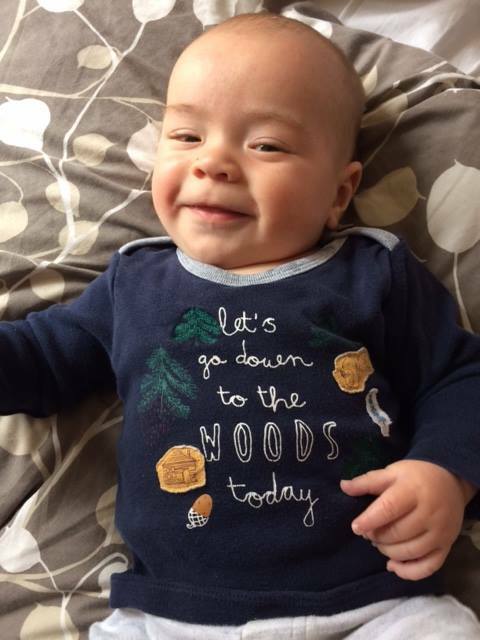 It was the first camping experience for my 6months old son, Jackson. In all six babies and toddlers had their first camp-out - Jackson, Ruby (3yrs), Brook (5months), Thomas (4yrs), Freddie (5months) and Ellie (6yrs)- along side more experienced kiddy campers Seb (4yrs), Amelie (5yrs), Eva (7yrs) and all their parents. the thought of camping with a baby is intimidating. You imagine no sleep and no creature comforts so potentially a miserable disaster. I’m not the only one intimidated, I’m an experienced camper who loves to camp, so if I find it scary then others must too. the reality is much more fun. Like most things, you can make something new much more complcated and intimidating in your head than it really is, so best to just give it a try, it will work out. And if you camp in your garden you can always bail out in a sleep-emergency. This Wild Night Out I can’t wait to try some new camping adventures with Jackson and our guests.